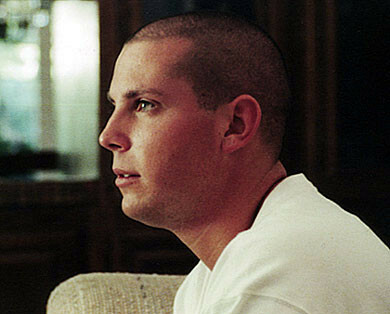 The mission of the Evan Ashcraft Memorial Foundation is to provide grants to returning soldiers and their families for treatment of Post Traumatic Stress Disorder (PTSD), thereby fulfilling Evan’s wish to help others. According to a recent report from the Veterans Administration, 64,000 of the more than 184,000 Iraq and Afghanistan war veterans who have sought VA health care were diagnosed with post-traumatic stress, drug abuse or other mental disorders. More than one-third of veterans seeking medical treatment are reporting symptoms of stress or other mental disorders - a tenfold increase in the last 18 months. Veterans also must deal with long waits for appointments, staffing shortages and lack of equipment at medical centers run by the VA Department. But as demand increases, reductions continue in the VA budget for mental benefits for returning soldiers. In addition to dwindling resource availability, many veterans feel discouraged from seeking care due to the fear of having their military careers negatively impacted because of the perceived stigma. Unfortunately, there are few organizations raising funds to help fill the gap between VA benefits and the actual needs of returning military members. But thankfully there are people like Jane and Jim Bright. When Jane’s 24-year-old son Evan Ashcraft was killed in an ambush near Mosul, Iraq on July 24, 2003, she and her husband founded the Evan Ashcraft Memorial Foundation (EvanAshcraft.org) in his memory. They also work in conjunction with The Soldiers Project, a project of the Trauma Center of LAISPS (Los Angeles Institute & Society for Psychoanalytic Studies). Now the public can help soldiers help themselves at the Third Annual Evan Ashcraft Memorial Foundation Fundraising Event taking place Sunday, October 8, 2006 from 12PM to 3PM at the Calabasas Country Club located at 4515 Park Entrada in Calabasas. Proceeds from the event will help fund grants for private mental health programs and resources for our veterans. The afternoon will include brunch, magic shows, music and a silent auction and raffle. Contact info: To find out how you can help our troops as they return from Iraq and Afghanistan or to schedule an interview with Jane and Jim Bright call the Evan Ashcraft Memorial Foundation at 818-704-0051. Evan Ashcraft Sergeant Evan Ashcraft was the 249th soldier killed in Iraq. He was only 24 years old.